An innovative mix of Sprayed Concrete (Also known as Gunite, Shot Concrete and Shotcrete) was proposed for our Newport Street tower, a project designed in collaboration with aLL Design. Sprayed concrete is known as such as it is sprayed into place, rather than pouring or placing into formwork, as is conventional. There are many applications and uses for sprayed concrete. 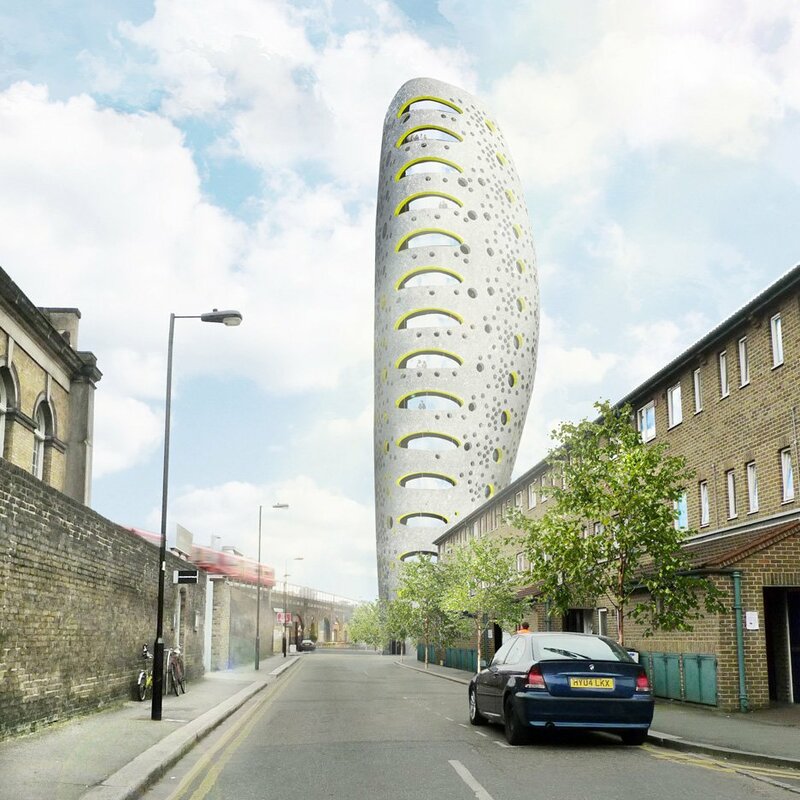 These include curved structures (including towers such as Newport Street, shell roofs and domes and tunnel linings), free-formed structures (such as swimming pools and climbing walls) and underground construction, retaining walls and piled wall facings. Sprayed concrete is also commonly used to provide fire protection to steelwork and for strengthening and repair works to existing structures. There are essentially two methods of application: the dry process and the wet process, typically installed by different specialist contractors and equipment. Both methods use high velocity air to propel the concrete mix. 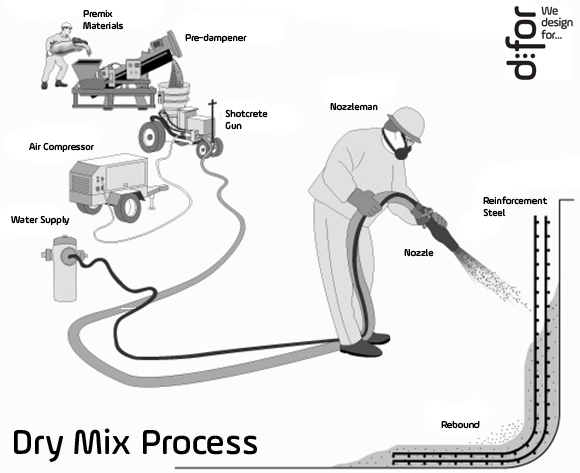 Dry process sprayed concrete is a predetermined dry mix of cement and aggregate that is then propelled through a spraying nozzle, where a finely atomised spray of water is added to the stream of materials to hydrate the cement. Wet process sprayed concrete uses batched wet concrete pumped through a hose or pipe to a discharge nozzle where high pressure air propels the concrete into position. Concrete mixes should be specially selected to suit each application. A third party accredited supplier of ready-mixed concrete will ensure that the correct spray-able concrete suitable for your requirements is provided; working to EN206: BS8500 and the European and UK standards for concrete.